Jordan Henderson is set to make his first Liverpool appearance since February in tonight's pre-season friendly at Tranmere Rovers. The captain is likely to be included in the Reds’ squad for their opening summer fixture having taken part in every session since the players returned to training on July 5. It’ll be Henderson’s first runout since February 11 after a foot injury brought a premature end to his 2016-17 season. Nevertheless, now fully fit, Jürgen Klopp has explained how the midfielder is desperate to get back out onto the field – and his manager can’t wait to see him do so. The boss told Liverpoolfc.com: “Having Hendo back on the training pitch is a nice thing. 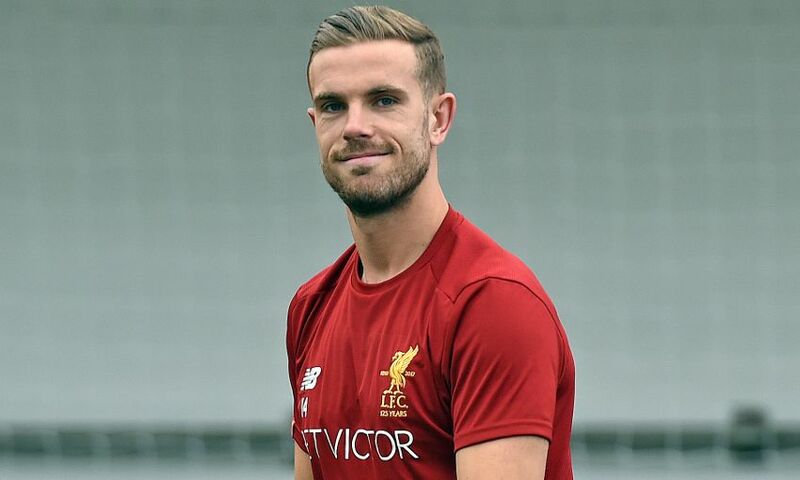 Everyone who knows him knows how hard [it has been for him]… It is hard for everybody if you cannot play, but if you know Hendo you know for him it is much harder than for others. “So far he could do the full and complete programme so that’s good. It was good last season – it was not that when we left to go into the holiday we thought, ‘Oh thank god we don’t see them for a few weeks’. It was more that we knew we needed a rest, but we were all looking forward to coming back and seeing each other again, so that’s how it feels now. Such is Henderson’s desire to return to action, Klopp feels there is little that could prevent the skipper from donning the armband once again at Prenton Park. Asked whether it’s certain he will figure, the German replied with a smile: “Yes… nobody has told me anything else! I think he always played when he was fit. “So unless the medical department comes to me and tells me to rest him a little bit [he might not play] but they first would have to explain this to Hendo… and if they pass him and he accepts this, they will come to me! Liverpool's game at Tranmere is live on LFCTV and LFCTV GO, with coverage beginning at 7.15pm BST. LFCTV and LFCTV GO are the only places you can watch every one of the Reds' pre-season friendlies. For more details and information on how to sign up for either service, click here.